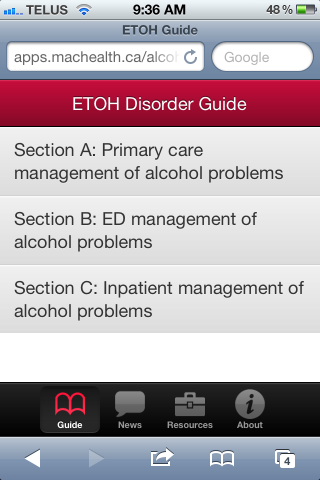 This app for tablets and smartphones is designed to help practicing physicians, residents, medical students and other health care workers in the management of alcohol use disorders. 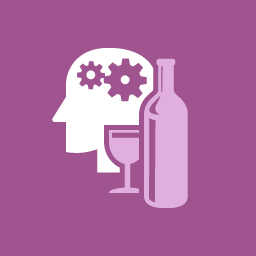 You will find evidence based guidance on screening, diagnosis, and the management of alcohol problems in primary care, emergency department and inpatient clinical settings. 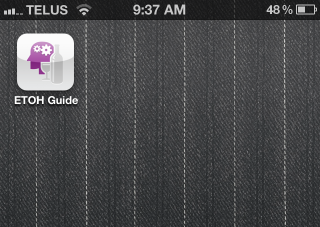 Step 1: Navigate to apps.machealth.ca/alcohol/guide/phone/ using the Safari browser on your iPhone. Step 2: Tap the Add Bookmark menu item. 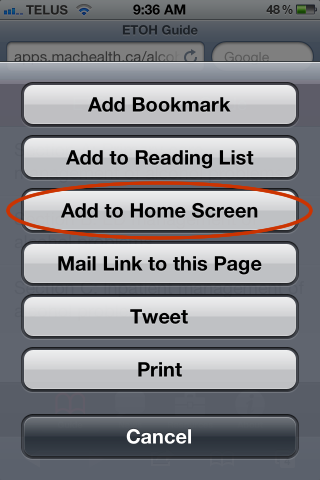 Step 3: If your iPhone is using iOS 5 tap Add to Home Screen in the bookmark menu. If your iPhone is running iOS 6 tap the Add to Home Screen button in the centre of the menu. Step 4: Tap the Add button to add the guide to your home screen. 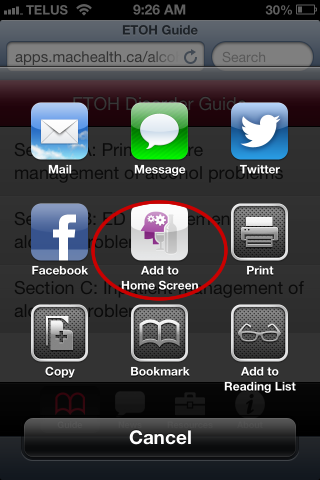 Step 5: Tap on the ETOH Guide icon to launch the guide. NB: You must be connected to the Internet for this web-based app to function. 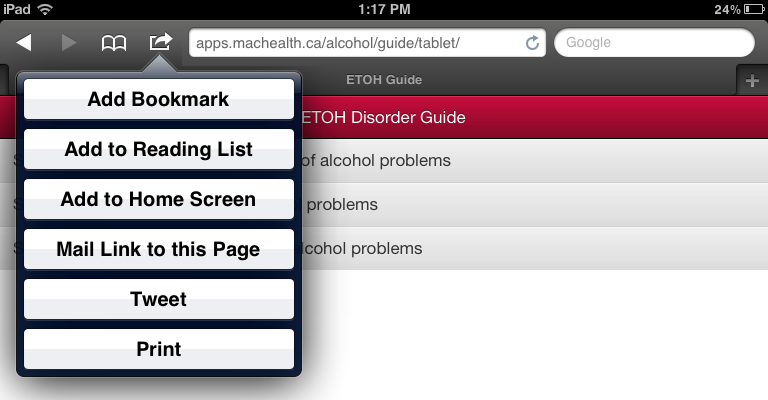 Step 1: Navigate to apps.machealth.ca/alcohol/guide/tablet/ using the Safari browser on your iPad. Step 3: Tap Add to Home Screen in the bookmark menu.